Heres a peek at our newest listings from the brokers right here atPrudential Spencer-Hughes. In the last 30 days weve added some truly special land lots, rentals, and one amazing lake house to our roster of Lakes Region real estate. Here are some highlights: 1. Lake House: 106 Sewall Rd. Wolfeboro, NH: $3,800,000. 7 bedrooms, 6 baths, MLS# 4318556. 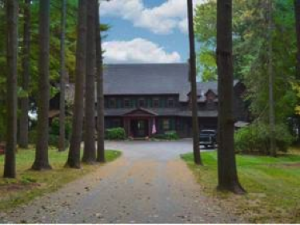 This stunning 1935 lake house sits right on the Wolfeboro Bay of Lake Winnipesaukee. The property features a sandy waterfront, U-shaped dock, and spacious patio and gardens. Inside, find a chefs kitchen, library, and wood burning stove. To top off the magic, this charming home is walking distance to downtown Wolfeboro. Contact Jodi for more information about this rare find. 2. Rental: 16Alpine Rd. Wolfeboro, NH: $1,250. 3 bedrooms, 2 bathroms, MLS# 4318363. 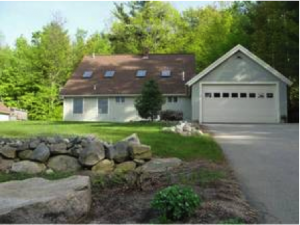 This cozy Cape rental home sits just south of Rust Pond and southeast of Lake Winnipesaukee. It features lovely views, a great deck,light-filled eat-in kitchen, convenient 1stfloor laundry, and skylights. Contact Doreen with questions about this great rental! 3. Land: Whitten Neck, Wolfeboro, NH: $198,000. MLS# 4321757. 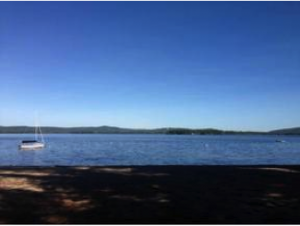 Looking for a land lot that allows you to build your dreamLakeWinnipesaukee home? This might just be your opportunity. 1.04 acres with water access and only a two minute walk to a sand beach with your own mooring, day dock, and kayak rack. Even in the winter, this lot is close to snow mobile trails as well as hikes and shopping. Contact Jodi to learn more.